The head of 'Ayya Vazhi', a reformist spiritual sect that has a significant following in southern Tamil Nadu, has raised the demand for separate religion status ahead of Lok Sabha polls. Since a chunk of Hindu Nadars, who form the core of Ayya Vazhi, have traditionally supported the BJP in elections here, there is speculation if this stand of the sect could affect the saffron party's electoral prospects in Kanyakumari, the sole Lok Sabha constituency it won in Tamil Nadu in 2014. Ayya Vazhi has a significant following, especially in the southern districts of Kanyakumari, Tuticorin and Tirunelveli. The head of the sect, Balaprajapathi Adigalar said their demand for a separate religion was only to guard the "unique nature" of their denomination. "How can we lose our uniqueness,? We are firm on our demand. It is our appeal to the parties that they accept our demand," he told PTI. The Ayya Vazhi chief said they do not want "intervention" from Hindu Religious and Charitable Endowments Department. 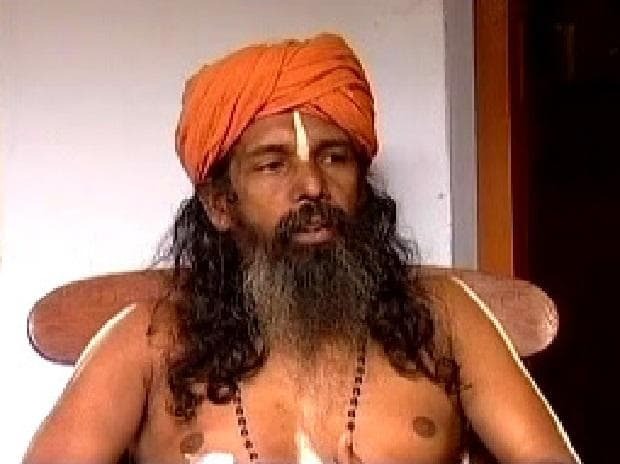 He said the devotees were "only making spiritual services while the department wanted to administer other affairs" at Swamithope, the sect's principal place of worship near here. Department officials were not available for comment. "We are unique. Be it culture, practices, or prayers, everything is different from the organised Hindu faith," Adigalar said. Adigalar, 72, claimed that even senior BJP leader and Union Minister Pon Radhakrishnan had assured support to protect the uniqueness of the denomination and "ward off intervention" from the H R and C E department. Despite repeated attempts made to reach a host of BJP leaders, none of them came forward to comment on the matter. The head of the sect commands immense respect not only from the followers, but also from other sections of society. No political leader has missed an opportunity to visit Swamithope, which attracts followers from several parts of Tamil Nadu. During the early 1980s when the district witnessed a series of communal clashes between the Christians and Hindus in several villages, including the Mandaikadu riots, Adigalar worked towards restoring peace and foster harmony, his followers recalled. General Secretary, Nadar Mahajana Sangam, G Karikolraj, however said, "It is the leadership which is making this demand. The common Hindu Nadars of Kanyakumari district are not very keen about it." Tamil Nadu Congress Committee President K S Alagiri said their demand will be taken up with the high command, but declined to elaborate further. Hindutva ideologue B R Gauthaman claimed that this demand will have "zero impact" among the electorate. "Adigalar will be singled out by the community for making this demand since Ayya Vazhi is rooted in Hindu ideals and there are umpteen references to Hindu deities in the sacred text Akilathirattu," the right wing activist said. Verses of the sacred text end with "Sivaney Ayya," which means Shiva the Lord, he said. Citing poll data, he said in the 1984 elections- Hindu Munnani (a Sangh Parivar outfit) supported independent candidate V Balachandran was elected to the Assembly. Other Right wing candidates like M R Gandhi and Mohandoss lost the polls that year by wafer thin margins, he recalled. "During those days too, Adigalar was not on our side," he said and added that after 1984 elections too, poll data reveals the BJP's significant hold in Kanyakumari district. Even in the 1996 Assembly election, when the DMK combine had a landslide win in the wake of a popular wave against late J Jayalalithaa in Tamil Nadu, BJP candidate C Velayuthan won in Padmanabhapuram in Kanyakumari, defeating Adigalar's brother and DMK nominee Bala Janathipathi, he recalled. "Ponnar Anna (elder brother and BJP leader Pon Radhakrishnan) winning the polls in 1999 and 2014 is well known from Kanyakumari," he said. Opposing the demand, Hindu Makkal Katchi chief Arjun Sampath said it cannot swing the decision of the electorate. The reformist sect founded by "the highly venerated Ayya Vaikundar over 200 years ago was to staunchly oppose religious conversions and to uphold equality and fraternity," Sampath said. The Hindu outfit leader said Ayya Vazhi is a "reformist Hindu denomination that upholds the key Hindu ideals and beliefs and this could be understood by a study of the sect's sacred scripture of Akilathirattu." Hindu Tamizhar Katchi leader Rama Ravikumar concurred with Sampath, saying it is a "non-issue".